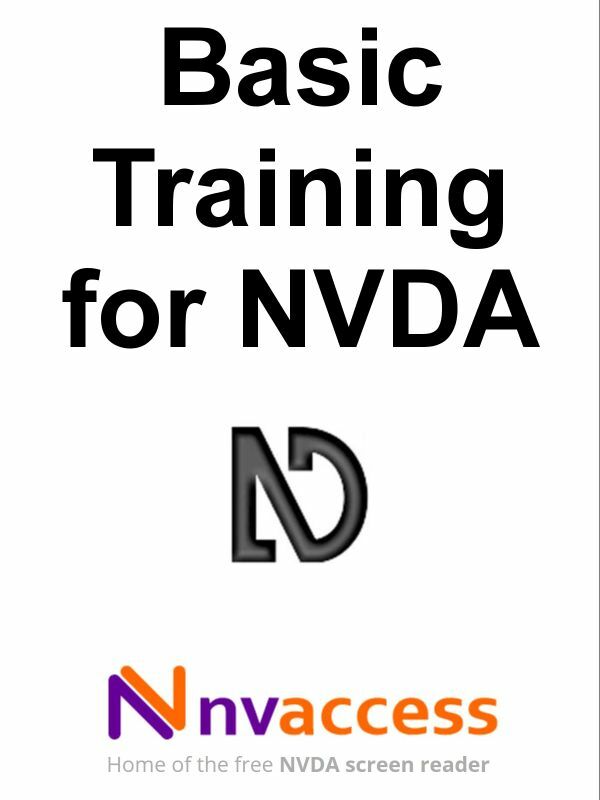 NV Access is very pleased to announce the release of “Basic Training for NVDA”, the first module in the official set of training materials for learning to use the free NVDA screen reader. This eBook is suitable for the new and existing user wishing to improve proficiency. No existing knowledge is assumed. For those starting out with NVDA, the book takes you from starting NVDA for the first time as a new user and getting familiar with the NVDA key, to finding your way around Windows and typing your first text. A setup guide is included to assist those setting up NVDA for someone else. For the advanced user, the text is a concise and valuable refresher of skills you may know as well as presenting some more efficient methods of common tasks. The later chapters cover topics including using the review cursor and object navigation efficiently, using configuration profiles and a timely walkthrough of some of the advanced settings you may wish to revisit now that you are a more proficient user yourself. The purchase price of this product supports the work of NV Access and our ability to provide the NVDA screen reading software free of charge. Initially the material is available as downloadable electronic text. Audio and braille formats will be available in due course. This book can be purchased from our Basic Training for NVDA eBook product page. A sample of the eBook, including the introduction and Review Cursor chapters, is available to view before purchasing.